The call of the pack on a metal poster! 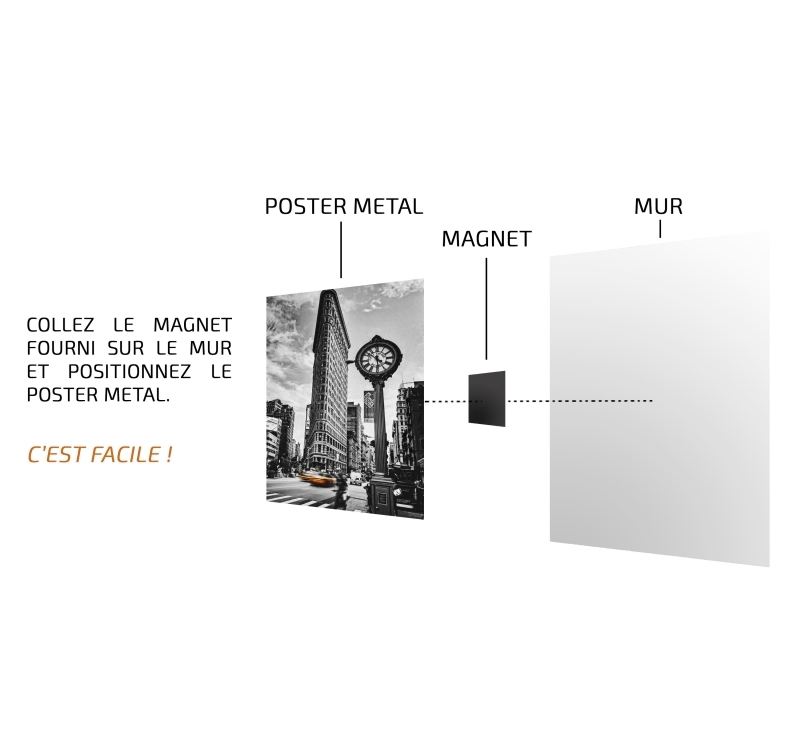 This wolf wall poster is delivered with its magnetic hanging system. The dimensions of this animal poster are 48 X 67.5 cm. 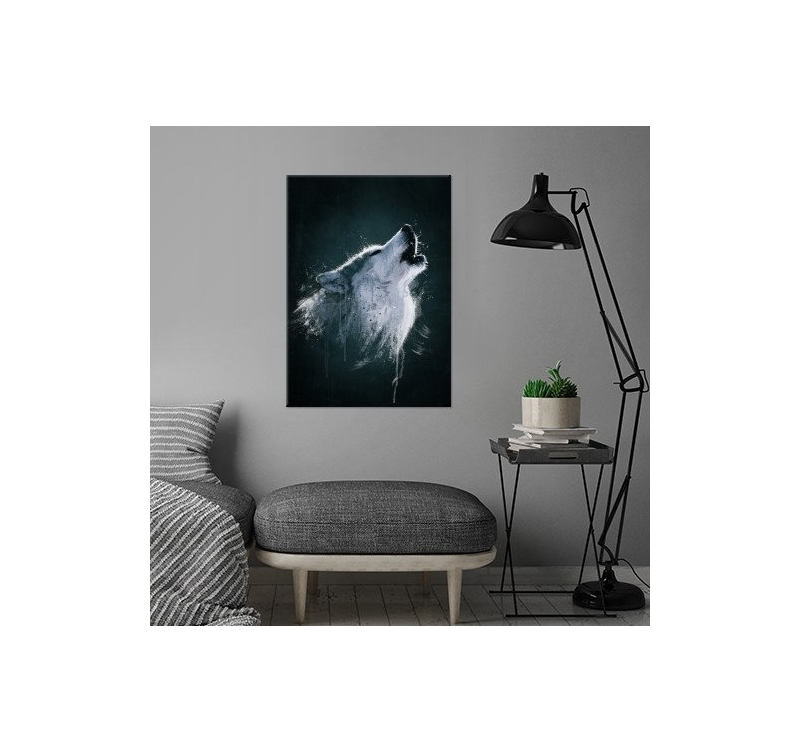 This splendid howling wolf on a metal poster is highlighted by the full moon and will enhance your interior decoration. 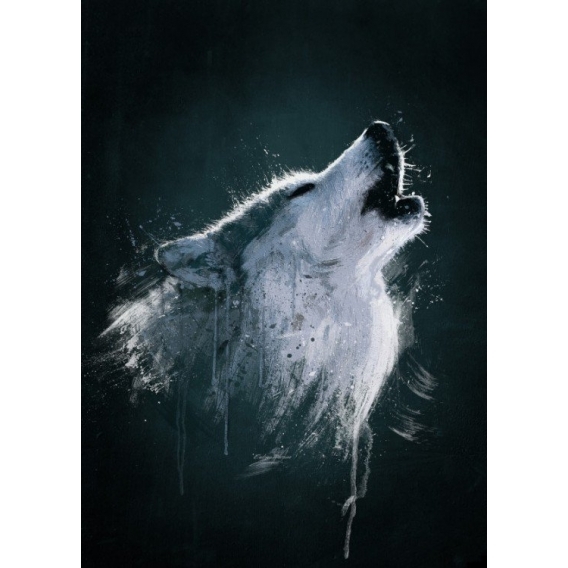 With great sobriety, the captivating and dark colours of this animal poster will bring nature and elegance to your walls. 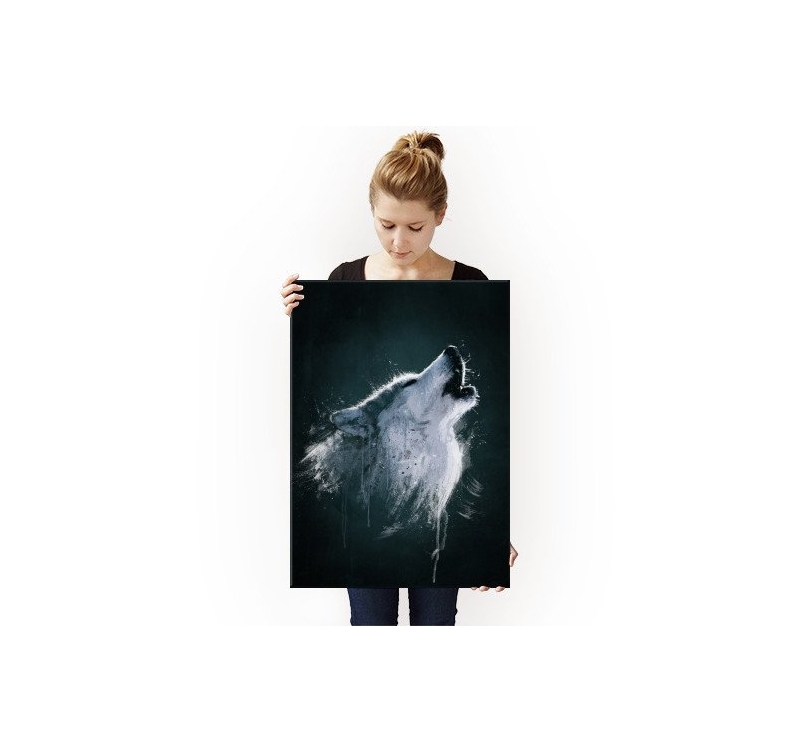 So, join the pack and hang this beautiful metal poster in your room ! 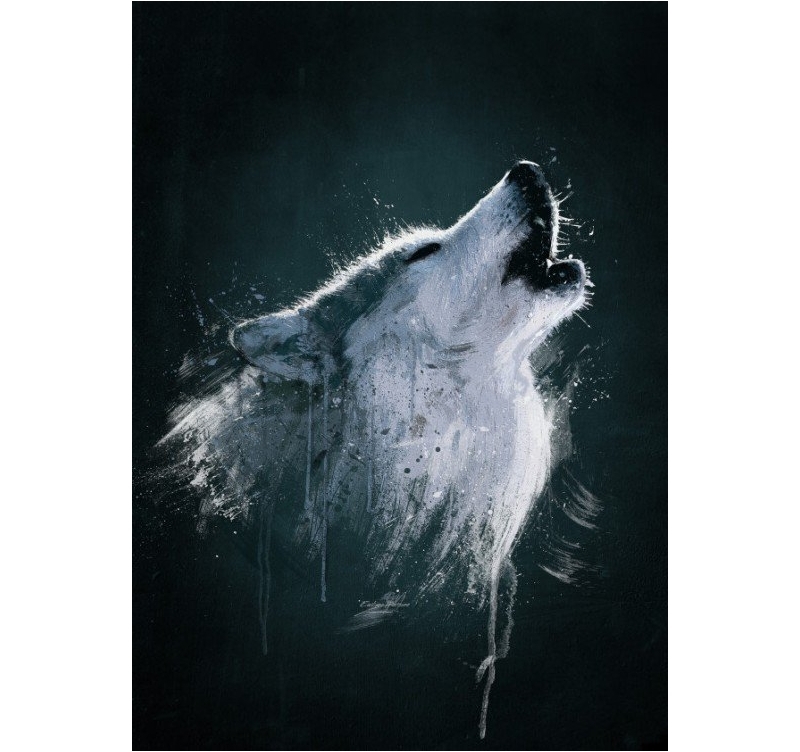 Created by our Artwall and Co artist this wolf metal poster will be the central work of art of your interior. 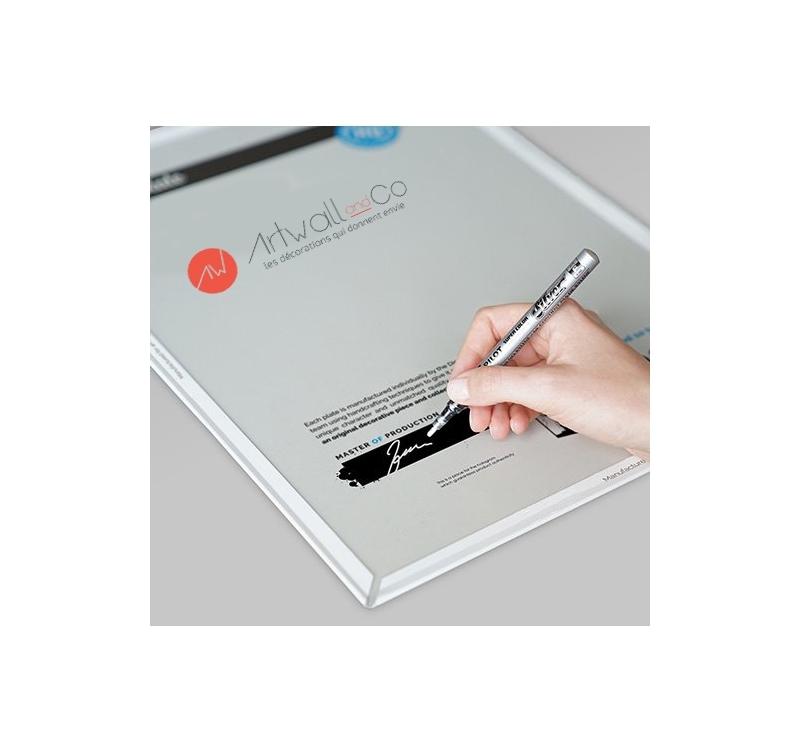 For an easy installation this collector poster is delivered with its magnetic no-hole no-screw hanging system. Each animal metal poster ordered allows you to directly support the artist that created it.